Bring joy and wonder back into your life and the life of your classroom! 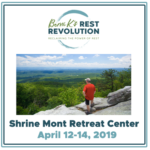 A groundbreaking retreat for learning the SIMPLE practice of modern meditation that will profoundly shift your life and the art of your teaching. What will I get out of this retreat? Myth: Requires sitting cross legged on cushions. Modern Meditation: Explore meditation while sitting, laying down, and walking. No sitting cross legged required. Myth: Entails learning religious philosophy. Modern Meditation: Approach meditation from a practical, modern, Western method, based on research. Modern Meditation: Gain confidence quickly, even as a beginner. Discover how meditating in short spurts can feel like an indulgence. A 65 year old grandmother dies young of cardiovascular disease mere months after retirement. A woman in her mid-40’s has a string of severe health issues including shingles, kidney stones, double vision, IBS, pneumonia, and early menopause resulting in missed work. A 52 year old father receives the blow of his life, acute leukemia. A vibrant, 58 year old father of four is forced into early retirement by cancer. A 45 year old father of three, in a leadership position, suffers a stroke. Another leader, age 56, dies early from colon cancer. What do each of these people have in common? They were all under stress, the unrelenting kind. And they were all teachers or administrators — at the same school! Learn how to reverse the very real and devastating impact of stress through the simple, easy techniques of modern meditation. Bring joy and wonder back into your life. You were more fully present to yourself and to your students? You could be profoundly calm in the face of overwhelm and urgency? You rarely missed school? With regular rest, the immune system functions better. You had as much energy, stamina, and enthusiasm at the end of the school year as at the beginning? You were gently responsive to classroom challenges? You felt like you had less urgency and a feeling of more time in your day? The art of growing the minds & hearts of children can’t happen when you – their teacher – are constantly stressed. Learn how to meditate quickly and easily in a modern way that helps you effectively bring calm to your day, even if you have a racing mind and little spare time. 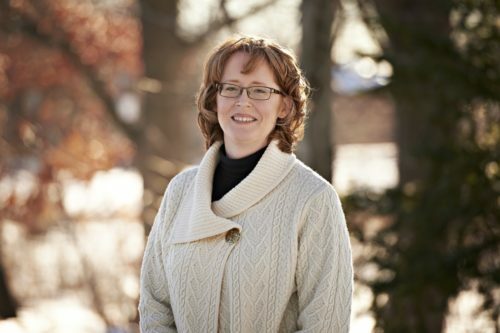 During her 25 years in education, Bernadette “Berni” Kozlowski taught science, coached several sports, served as an advisor and even lived in a boarding school dorm. After a period of severe grief and health issues, Berni discovered modern meditation as a tool to help her be at her very best, both professionally and personally. A certified meditation instructor, and founder & CEO of Berni K’s Rest Revolution, Berni helps teachers, students and parents across the country to restore and sustain balance in life. Call for a free consultation with Berni – 828-702-2824. Find out how meditation can help meet your wellness and resiliency needs as an educator.